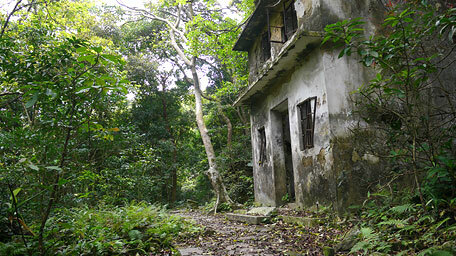 Mau Ping, located in high ravine between Sai Kung and Sha Tin at north of Buffalo Hill, has the remnants of ancient villages in fung shui forest same as Mui Tsz Lam. End: Minibus 37M from Tsz Wan Shan to Wong Tai Sin Railway Station. Bus 2F,3C,3M,15A from North Tsz Wan Shan Stn. Please see the content below. 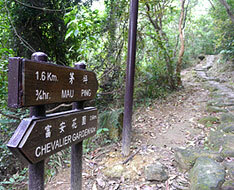 The trail starts by following Hang Tak Street toward the way to Sha Tin from Exit B of Tai Shui Hang Railway Station. Head it keeping to the left side. 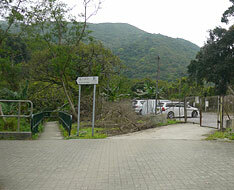 Passing through Tsung Tsin Secondary School, the trail deviates from the road and traces the left pathway. Slightly descend the path, it soon crosses the river along the bridge on the right which is laid some large pipes alongside. 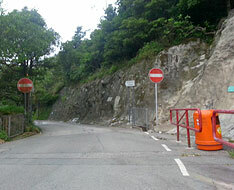 Afterward, follow Mui Tsz Lam Road to the left slowly up. 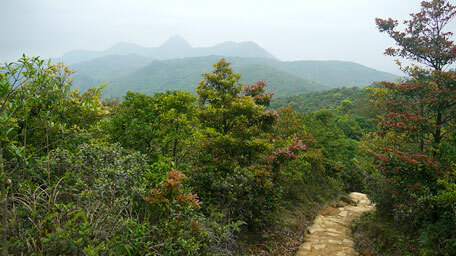 Along the way, the hill spur of Shek Nga Pui rears up in the front far. Heading to the gate, it follows the left concrete path to Mui Tsz Lam Village according to the signpost. 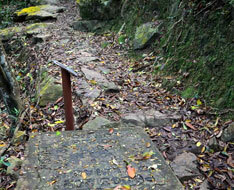 Along the concrete path, the trail then joins Mau Ping ancient path on the left at the junction (right to Mui Tsz Lam Village and Fa Sam Hang Village). Head the sylvan ancient path paved with stones, it cuts through the forest and gently winds up. 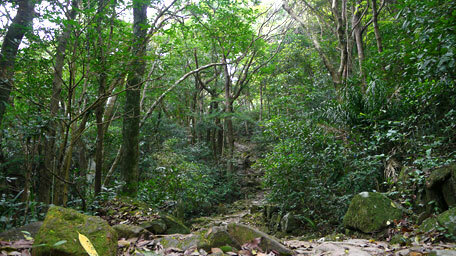 Through the deep valley, you are surrounded with the verdant and lush woods brimming with the natural aura. 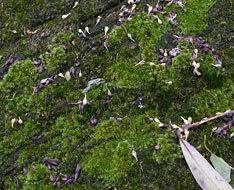 Every tree, every grass even every leaf all emit the strong fragrant aroma, and fashion themselves into a jade screen. Some of the rocks also put on thier green thin cloth for the season. 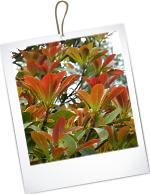 In the fung shui woods, it shows a great diversity of plants and the endless ecological circulation between the tender and old plants with various natural colours. 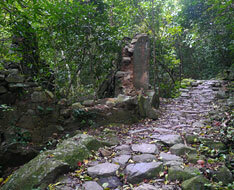 The abandoned old house recorded the past epoch and returned to nature. Afterward, head the trail, it leads to the open grassland at Mau Ping, where is the ruin of the old village school for the five ancient villages. 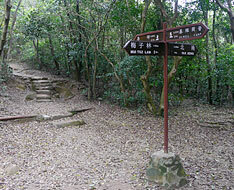 Exit: From the crossing beside the open grassland at Mau Ping, you could follow the path ahead that leads down to Hiram's Highway of Sai Kung via Pak Kong Road. 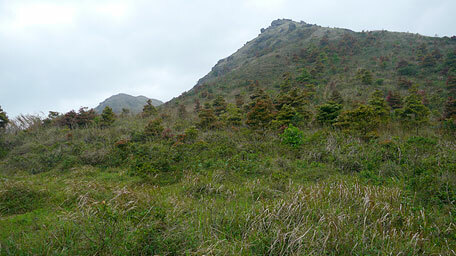 From the crossing beside the grassland, the path follows MacLehose Trail to the right to Gilwell Camp (left to Ngong Ping) that winds gently up. Further ahead, you could look back far to the lofting Ma On Shan, Pyramid Hill and the adjacent undulate hills which offers a view over the chain after chain of mountains. Heading further, Buffalo Hill could be seen at the right upper, but the trail skirts the hillside only. 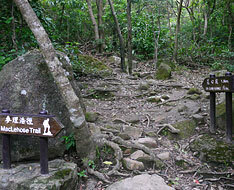 To the junction, taking the left path could lead to Sam Fai Tin, and tracing the right obscure steep path could climb Buffalo Hill. Still go ahead, the trail then winds along the hillside of West Buffalo Hill. 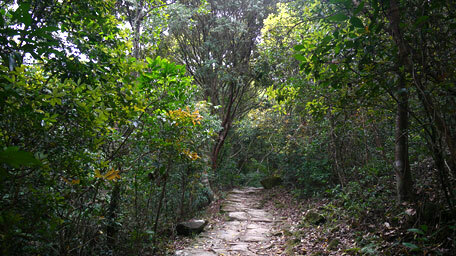 On the way overlooking to the left, it gives a splendid view over Hebe Haven of Sai Kung. 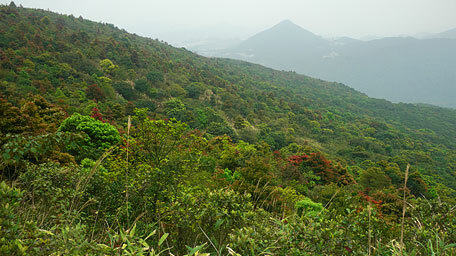 Gazing down, you could see a grand green screen on the forest in Tai No Sheung Yeung. 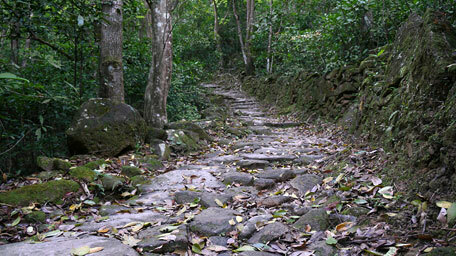 Afterward, the trail slowly turns descent. The peaks of left Kowloon Peak, Tate's Caim, Tung Yeung Shan and even far to the rolling peaks of Kowloon are also within the sight. Passing through the right junction to Fa Sam Hang, go forward. It contours along the undulating hilly region, cuts through the woods and then joins the concrete road nearby Gilwell Camp. 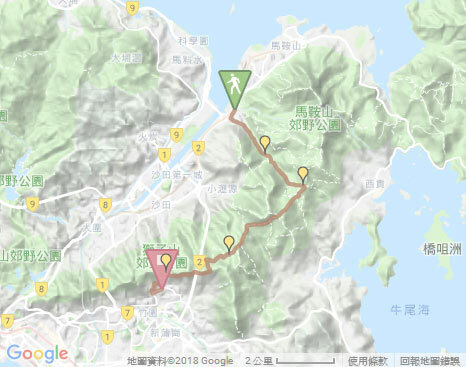 Near the hillside of Buffalo Hill, there is a downhill path on the left to Hiram's Highway of Sai Kung via Sam Fai Tin along Mang Kung Wo Road. 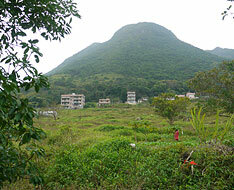 Beyond the hillside of West Buffalo Hill, there is a branch path on the right that leads to Siu Lek Yuen via Fai Sam Hang. 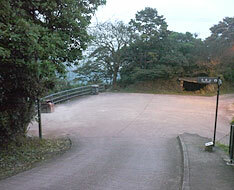 Along the concrete road to the right, it leads down to the open space. 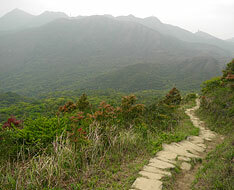 Follow MacLehose Trail on the left, it cuts through the woods and winds along the hillside of Tate's Caim. Further ahead, it opens up. 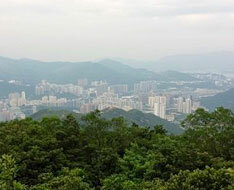 Toward the north, it offers a distance view over Sha Tin and Shing Mun. Afterward, the trail swings up and turns steep guadually. 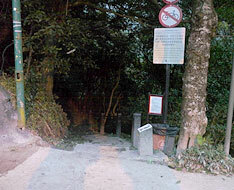 After climbing up the ridge, it sharply descends to Fei Ngo Shan Road, then head it to the right a short distance to the junction of Jat's Incline. 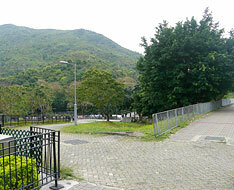 Follow Sha Tin Pass on the right at the junction, it slowly descends to the junction of Lion Pavilion. 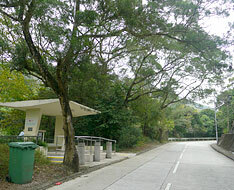 Finally, continue on along Sha Tin Pass downhill, it leads down to Tsz Wan Shan. 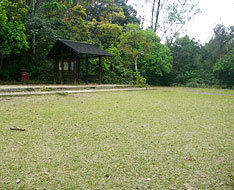 The large Fun Shui Lam is only remaining of the great in Hong Kong. There is an strong aura of Nature among the hills from the endlessly gurgling streams, the diverse verdant and lush woods and the rich bird sounds. Perhaps Nature would better grow and multiply without end if no human exist. In contrast, humans that could only exist in Nature seem to forgot themselves also to be a part of Nature, and still destroy it to gain resources continuously. If Nature is not protected as much as possible and humans do not coexist with it harmoniously, all things would disappear in the foreseeable future.